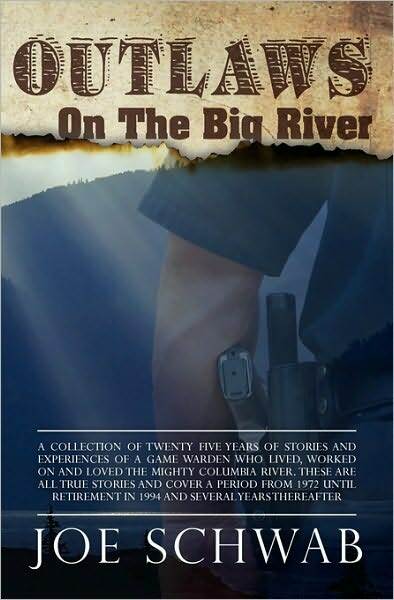 A riveting collection of 25 years of stories , encounters and experiences of a Game Warden who lived, worked and loved the mighty Columbia River and its vast public natural resources. 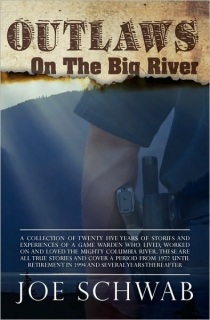 These are the true stories as experienced by a fish cop on the water, often in the dark, from the tumultous days following the Boldt Salmon Decision to his retirement in 1994. Sometimes humorous, sometimes dangerous and deadly,and always entertaining. Schwab spins a network of stories that will entrance, enlighten and fascinate you. Enforcing fish and game laws on the Big River between Oregon and Washington is a challenge that few men can handle. Schwab made it a career. This section of the river is subject to commercial, sport fishing andtre aty-empowered Indian tribes. Salmon and steelhead runs that once numbered in the millions, now averae less than 500,000. These stories provide insights into the problems, hazards and complexities facing law enforcement in its attempts to curb the poaching thefts and illegal abuses. The humorous side, the dangerous side and the tedious side all combine in one of the most interesting occupations in the outdoor field. This book is a page-turner of real life adventures.